As much as I love a good Sephora haul, I always find myself going back to (and recommending) some drugstore makeup and skin care finds that work great and rival their pricier counterparts. When taking clients shopping for makeup and skin care, we almost always start somewhere like Ulta or Target for some of these products before venturing into a department store. Here are some of my favorite products, found at any local drugstore, that work amazingly well and create a look that dupes many pricier department store products. 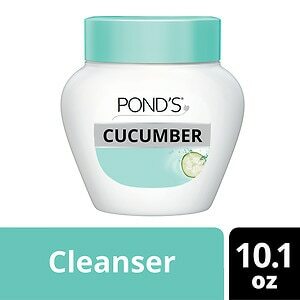 This cooling cleansing cream by Pond's has a higher water-to-oil ratio than its "classic" cold cream counterpart, meaning it rinses off clean without the need to tissue off. Using the same idea as oil cleansers, this cold cream dissolves all makeup - even long-wearing/waterproof formulas - for a clean complexion that isn't left dried out. I've been using this on and off for years, and always find myself reaching for it when nothing else is working. I only wash my face with a foaming cleanser in the shower, with my Clarisonic (which there definitely is not a drugstore dupe for!). 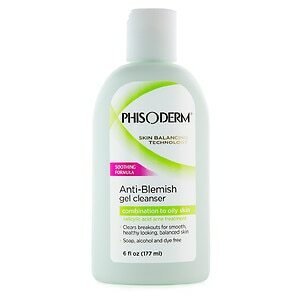 This pH balanced face wash by Phisoderm is super gentle, and is formulated without sulfates or dyes, so it won't irritate even sensitive skins. With the added benefit of salicylic and lactic acids, this cleanser helps keep pores clean and acne at bay, all without stripping the skin of natural oils or throwing off pH balance. What else could you want in a cleanser? I LOVE this toner. I'm kind of a toner addict, having tried at least a hundred others from all kinds of brands, and I always come back to this one. It contains so much goodness: vitamin e, witch hazel, aloe, glycerine, and rose water - and doesn't contain alcohol! This toner always leaves skin soft, toned and never dry or stripped. While many people don't consider toners a necessary step, I deem this a staple in my routine for removing anything my cleanser may have missed, and for adding an extra little dose of moisture to the skin. Also, I may be addicted to the heavenly rose scent. read on for my makeup faves! This primer seriously works like magic. This mainstay in my kit works wonders, hiding pores, lines and wrinkles, and brightening dull skin. I definitely wouldn't recommend this for daily use, but if you're looking for a primer that blurs imperfections and creates a smooth base for makeup, this is it. With around 30 shades to choose from, and offered in warm, cool and neutral undertones, you're sure to find a color that works with your skin tone. This foundation gives great sheer to medium coverage and offers a natural looking finish that never looks too foundation-y. I wear this all the time, and always get asked what I'm wearing - even by department store foundation devotees! I also find this foundation to be one of the best photographing options around, especially from the drugstore. Hmmm... are you starting to notice a theme here? Lol! Seriously though, L'Oreal makes some incredible products. As one of the biggest beauty houses around, L'Oreal owns some of your favorite department store brands, and employs thousands of dermatologists and chemists that work to develop those pricy, state-of-the-art formulas. I'm convinced that a lot of that same high dollar technology then ends up in L'Oreal's drugstore offering. Case in point: Magic Lumi Concealer. This brightening concealer works by reflecting light away from dark circles, lines and wrinkles and imperfections... and bears a striking resemblance to a certain industry favorite also owned by L'Oreal (*cough cough* Touche Eclat *cough*). This automatic liner by CoverGirl is the perfect basic black liner. With an always sharp point, and a smooth formula, you can create countless looks without tugging too hard at the delicate eye area. Uh, sorry for the wonky picture. But this little gel liner and brush duo are awesome! Want to create the perfect cat eye? This is all you need. This creamy gel formula glides on easily and its creamy matte finish lasts all day. I honestly prefer this over a lot of more expensive gel liners. The formula and the brush are absolutely perfect! 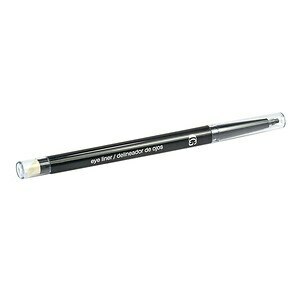 Use this to line the waterline or even as a base for a sultry smoky eye. Hey, Great beauty review you have shared on such type beauty products. Thanks for your great support on L'orial for beauty manner.